Tracy here and wow isn’t the new collection of Where the Roses Grow just so beautiful. I have made a shaped card and made pockets either side to hold a message tag. 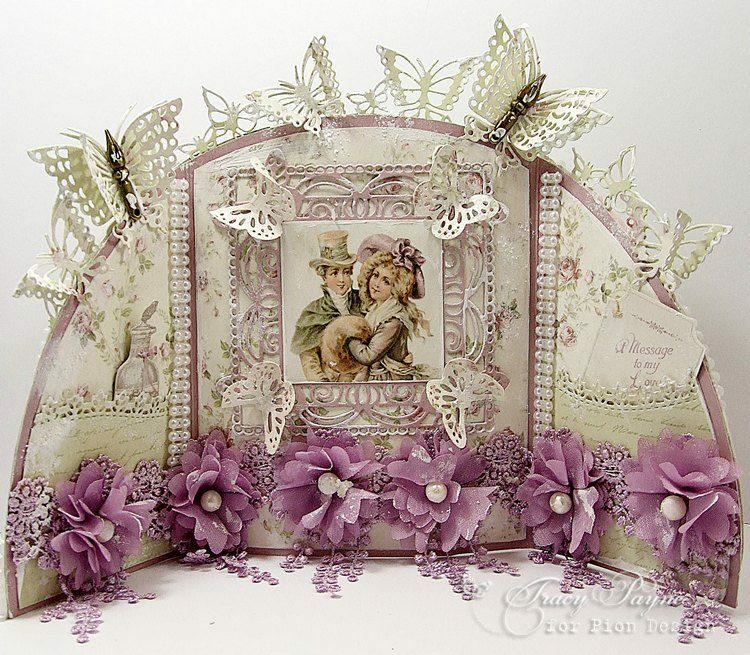 I have die cut the frame and base of the butterfly edge using the Pion Palette as listed below.